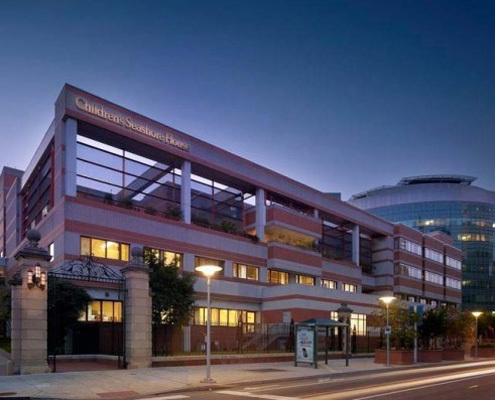 The Children’s Hospital of Philadelphia is renovating a 12,000 square foot, single-floor space located within the Seashore House. The newly renovated space will house 10 new patient rooms, patient multipurpose activity and play rooms, nurse’s stations, shared office space and conference rooms. Hatzel & Buehler will furnish and install all electrical work including lighting fixtures with Lutron dimming, color tuning system and DALI, normal and emergency branch power, emergency distribution, Portable Generator Connection box with a 400amp automatic transfer switch, power distribution to new HVAC equipment, wiring of a new fire alarm system and also provide empty pathways for the following systems. The Voice/Data , Nurse Call, Security, and Audio Visual installations will be completed by Hatzel & Buehler’s low voltage subsidiary, Bluestone Communications.